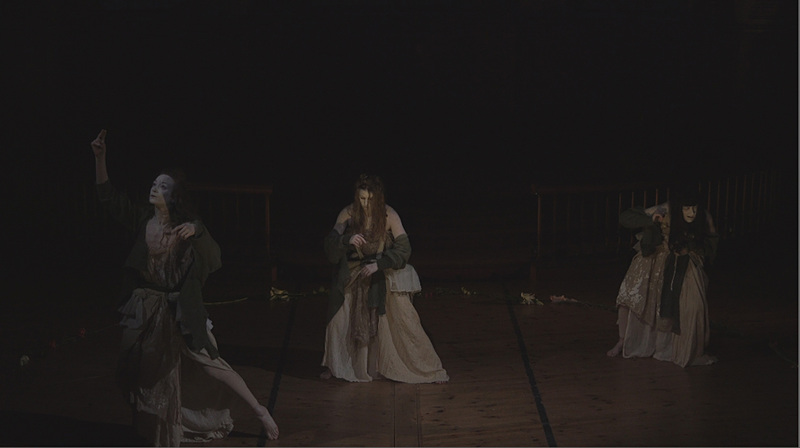 Three dancers brought the Japanese avant garde dance form of Butoh to Newcastle last week. To quote the local press, this highly dramatic performance is “not for the frail”. Butoh translates as “dance of darkness” and it was founded after the Hiroshima tragedy that made the “unimaginable imaginable”. It must have caused a stir in tradition obsessed 1959 Japan. It finds its traditions in Noh Theatre, dating back to the 14th century, meaning “skill” or “talent”. 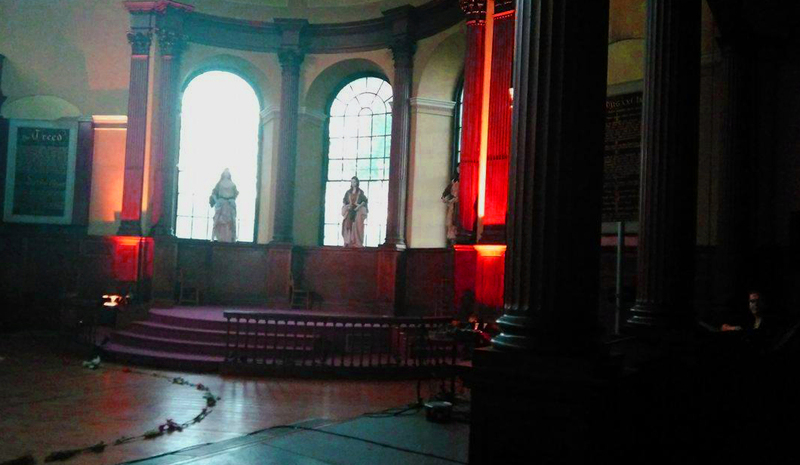 The setting is All Saints Church, an austere, circular building with a feeling of being separated from the outside world, but the numbers filling the pews would please any priest. 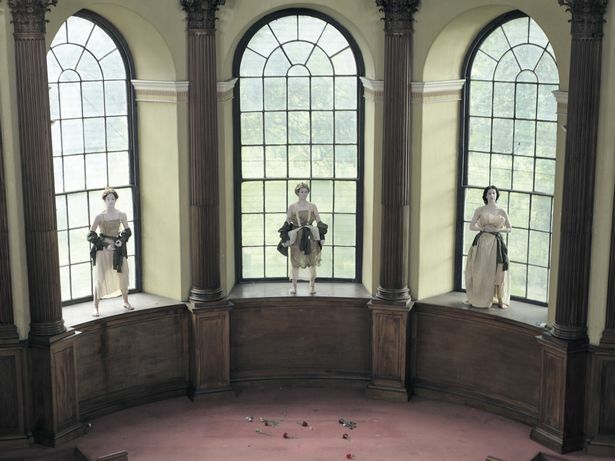 The three dancers are positioned like slender Greek sculptures in the large arched windows. In this Butoh style, they wont be going anywhere soon for some time. The women move so barely it’s hard to perceive them moving at all. But move they do, like flowers opening, draped in organic-looking rags and their motion, or seeming lack of it, is hypnotising. It is also deeply ominous and unnerving. by the audience and dancers alike. Western cultural references could be the witches in Macbeth, Baudelaire’s Les Fleures du Mal, Lindsay Kemp’s radical mime/dance show Flowers in the 1970s, or Stanley Kubrick’s Eyes Wide Shut. But even with this cache of cultural strangeness under your belt, nothing quite prepares you for the sheer thrill and terror inflicted by the barely perceptible advance of the dancers. You feel sure, like a Stanley Kubrick film, that nothing good is going to come of it, and, as slow as the action, it dawns on you, you’re now part of it. It holds you and your complete attention in its grip, like a Venus Fly Trap. It could go any of many ways, the movement hinting at burlesque, the grotesque, the obscene or the redeemed. You feel as though the outcome is really up to you, and the tension in the church is electric. Music duo Trans/Human are on sounds, a soundscape of a beehive and an organic end of times ambient jarring backwash, emphasising the inescapable nature of the horror film surroundings. They take you right up to the edge. To know how it ends you have to go and see it and create your own resolution. To repeat, not for the faint hearted. This entry was posted on 18 August, 2016 in homepage and tagged Adam Denton, Butoh, Claire Palmer, http://www.surfacearea.org.uk/, Molly Carter, Nicole Vivien Watcon, Project Godie, Trans/Human, Vangeline. Bookmark the permalink.